We know it’s important for you to stay in the loop about your favourite bands and artists. It’s important to us too. That’s why you can now sync Spotify with your See Tickets account. 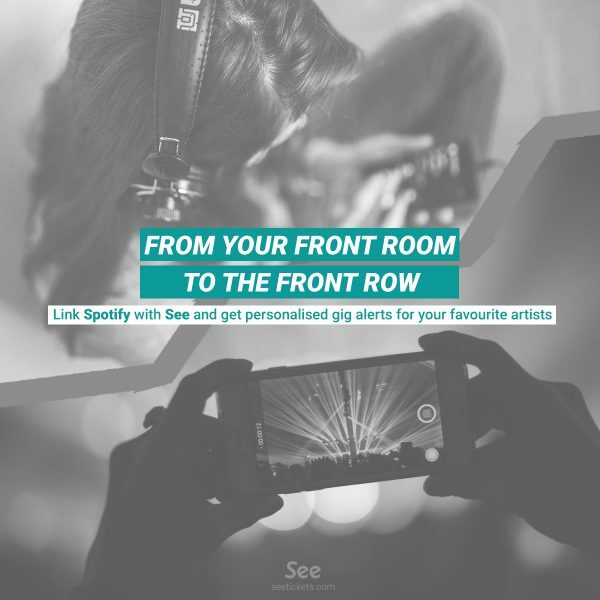 Import all your favourite artists from Spotify and get personalised alerts directly to your inbox for upcoming shows you might be interested in. You’ll now receive tailored notifications directly to your inbox. Sit back and relax! • Fairly re-sell your unwanted tickets via Fan-To-Fan for the original price you paid, or less.